The house is located within the small City of Limoux, surrounded by 'Wine Caves', the rolling foothills are covered with Grape Vines and Orchards. Limoux is located on the Aude River, which runs through the Languedoc-Aude region of France. It is the land of the Pays Cathars, famous for the oldest sparkling dry wine 'Blanquette de Limoux', and for the longest running carnival in Europe. Carcassonne is the nearest airport, a simple 1/2 hour from the house, Ryan Air is the primary airline. 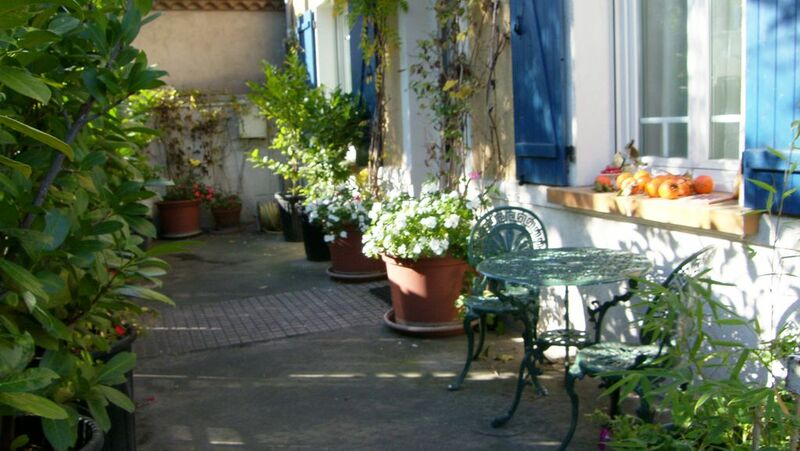 The house is only a short walk to the Place de Republique, located in the centre of the city by the Cathedral, surrounded by restaurants, bars, butchers, clothing stores, etc. English Language Lessons, Practical Language application on guided tours, and shared living with English Family with your own private rooms ensuite are all available. Fantastic house with great communal spaces on the edge of a lovely town. This large property was ideal for our two families who visited for a week in July. The 5 bedrooms were all of a good size, the bathrooms were modern and well set out. The kitchen was well equipped and the central table was big enough to accommodate 9 of us. Wi-fi worked well, which was important to our kids. Gaining access to the property and leaving at the end were all very simple, although being able to speak a little bit of French always helps. The town was great and within about 10 minutes walk from the house you could be enjoying a drink, snack or full meal at one of the cafes around the central Place de Republique. The area around the town was full of amazing places to visit and we were never lost for things to do. The gardens was hard to access from the house and was in need of some attention. We thought the property had a small pool from the pictures, but this was not the case. So a little disappointing. The house is also on a busy road so traffic noise was an issue at night for those sleeping in the front of the house. We had a really good stay here. The house suited us well and is in a great location for exploring the region. The hiking and bicycling trips through the winefields and hillsides are outstanding. It is the training area for Olympic, Tours de France, and Professional Cycling teams from many nations. The fishing, swimming and kayaking is terrific throughout the region. The Mediterranean Sea at Narbonne is a little over an hour away, and the Spanish Border 2-hours. The principality of Andora is an hour away, with many notable skiing and winter sports areas. A £300 euro 'Security-Key-Cleaning Deposit' is required!